Microneedling is one of the fastest growing, non invasive cosmetic procedures. Adding it to your aesthetician practice, your day spa, your medical clinic, or physician’s office can bring in new clients and better serve your existing clients. MDPen, a supporter of microneedling practitioners, offers micron needling training courses. The steps to becoming a MDPen licensed microneedling practitioner are enumerated below. Purchase an MDPen. We offer two MDPen microneedling pen options: MDPen Dual/Cordless Electric Micro Needling and MDPen Electric Micro Needling. With this purchase, you will receive microneedling training for three people. Our microneedling training is all online, so you can take this course at your convenience. If purchasing a MDPen right now is hard on your business’ budget, we do offer financing options. By investing now, you can pay this off quickly once you get microneedling up and running in your clinic or spa. Our microneedling training course must be completed within two weeks of purchasing an MDPen, or our offer expires. Optional training. Upon completion of our online course, which will qualify you for microneedling certification, MDPen offers an optional four hours of hands-on training with a MDPen Product Specialist for an additional fee. Visit our practitioner portal. Once you are a certified MDPen microneedling practitioner through our micro needling training course, you will have access to our practitioner portal and be listed in our practitioner database so those who are seeking a microneedling treatment can find you quickly and easily. You will be able to purchase all of our microneedling products in bulk, from patient brochures to the best serums for microneedling. Begin your practice! Once you’ve completed the training, you are ready to start serving customers. MDPen’s certified micro needling training course is really that simple! You’ll be able to offer one of the best non invasive cosmetic procedures to all your patients, as they seek to reverse the signs of aging and feel better about their appearance. In addition, MDPen offers device support should you have problems with any of your MDPen microneedling pens. MDPen offers a microneedling lifetime warranty that is non-transferrable as long as you continue to order your replacement needles from us. This warranty does exclude certain conditions, such as operator misuse or the unlikely event a natural disaster hits your office and your MD Pen microneedling pen is swallowed up by the earth. 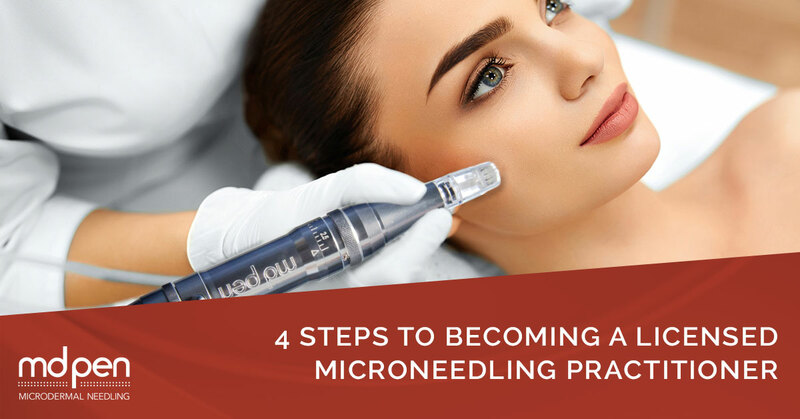 Discover the amazing benefits of offering microneedling to all of your patients and begin today to experience the joy from improving the lives of your patients through microneedling. Contact us today to get started!